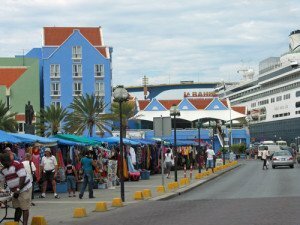 Cruise Port Guide Curaçao - Top rated port guide! Our Curacao cruise port guide gives you information about the docking location, cruise dock, transportation options and much more! Welcome to the Curaçao cruise port guide. Curaçao has about 159.000 inhabitants. Its capital is Willemstad. This is also where your cruise ship is going to dock when making Curaçao its port of call. Willemstad is a city split in two. Punda is where you find the famous Dutch Warf and markets (see picture). The other half of the city is called Otrabanda, meaning “other side”. This is where most cruise ships will dock. The mega cruise pier is at historical Rif Fort. This and many other forts, plantation houses and old warehouses show the vibrant history of Curaçao as a Dutch colony, slave trade centre and oil refinery. Curaçao is a true cultural treasure. If you take a look at its holidays for example, you will notice it inherited the Dutch, Jewish, Venezuelan and local holidays. That is the beauty of Curaçao! The locals celebrate holidays of many different cultures because you tolerate them, but also mainly because you always want a reason to celebrate. The island lies about 60 km off the coast of Venezuela. It is about 70 km long and 12 km wide. Its landscape is dry and the vegetation matches the climate. While the island might not have the most beautiful forests or scenery of the Caribbean, it does have 28 beaches of which some are even in the world’s top 10. Find out which ones we recommend in the Curaçao cruise port guide. – There are over 5 cruise berths in Curacao. 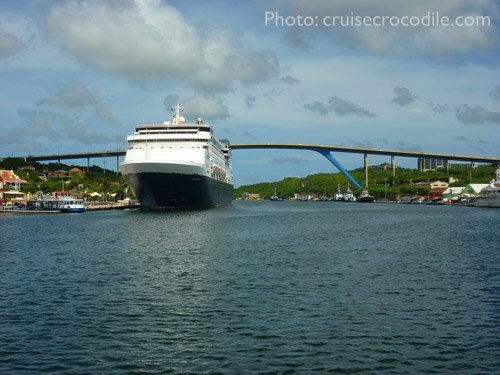 – Most cruise docks are 10 minutes walking distance of Willemstad. – Taxis available at the cruise dock. – Public transportation: not recommended. – Beaches: No beaches within walking distance. Transportation required. A cruise ship docked in the port of Curacao. Mega pier 1 and 2. This cruise dock is about 500 to 700 yards from Riffort. At the dock you will find an information booth, free wi-fi, taxi stand, tour operators and souvenir shops. You will also find a lot of facilities, cafe’s, restaurants and shops at the Riffort area close to the pier. This pier is located behind the pontoon bridge in Otrabanda. From here you are about 500 yards away from the city centre of Willemstad. You will find an information booth, taxi stand, tour operators and souvenir shops on the dock. This cruise dock is also behind the pontoon bridge but on the Punda side of town. From here it is a 600 yard walk into town. Although the Mega Pier provides the best facilities for cruise passengers, the other docks are also just a small walk away from transportation, shopping and the city centre. Usually there are a limited amount of taxis waiting at the pier for you. Negotiate a price before getting into the taxi. The price from the dock to Seaquarium beach is approximately $25 and to Blue Bay also around $25. Taxis cost around 45 US dollar per hours depending on your negotiation skills. All prices are per taxi, up to 4 people. When in doubt about the prices ask for the Curaçao taxi tariff list. 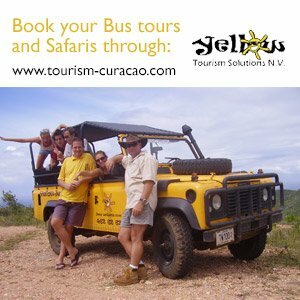 There is a trolley train in Curaçao that gives 1 hour guided tours through the city. It leaves at 10 am from Fort Amsterdam. See location on the map above. Check in at 09.45 am. The cost is 25 US dollar for an adult / 15 USD per child (pay cash) per person. Find the public bus station at Otrobanda and Punda. See map above for their exact location. You can choose to tour the island by public transport, although we don’t recommend it because it is not reliable. Hooks hut: which is also the closest beach to port. Hook’s hut offers a restaurant and bar at the beach in a informal setting. Bring a towel and sunscreen. Sea Aquarium beach: This is the most popular beach on the island especially for the younger crowd. Find several beach clubs, souvenir shops and restaurants here. All beaches have facilities. Bring a towel and sunscreen. Porto Mari: A littler further from town is where you will find Porto Mari. It is a beach that is primarily used by locals instead of tourists. It has white sandy beaches and a really nice atmosphere. All facilities are there. Bring a towel and sunscreen. Grote Knip: This beach that has repeatedly been featured in magazines as being one of the top beaches in the world. However it is also one of the furthest beaches from port. It is about 45 minute drive from port / +/- 45 USD dollar one way by taxi. It is where you will find turquoise waters, white sandy beach and it is not crowded at all. This is the ultimate beach. 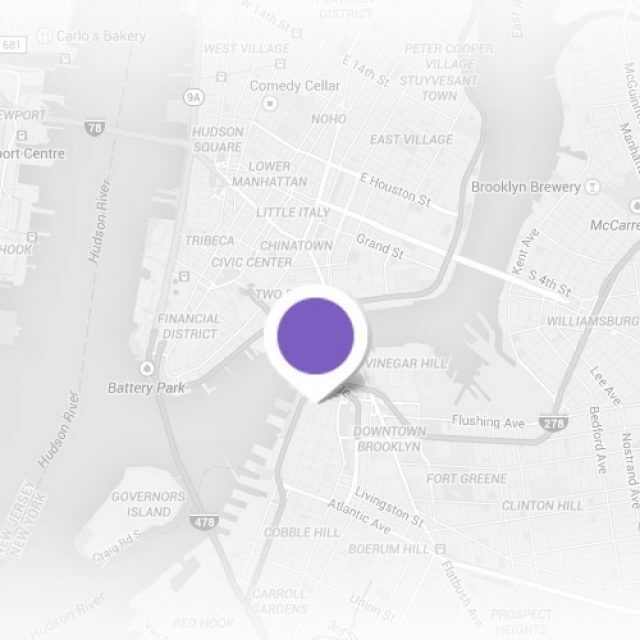 Find a small bar and limited facilities here. Bring a towel and sunscreen. Snorkeling Curaçao has brilliant snorkelling and diving spots. When you are interesting in diving make sure to prearrange a dive with one of the local operators. If you are interested in diving you will have success at almost any beach on the island. A special one that we can recommend: Blue Bay is a resort area where you will find coral reefs and turtles. Combine sunbathing, cocktails and snorkelling on this brilliant resort. Negotiate a taxi for approximately $25 one way. If you are docked at the Mega Pier (main pier in Curacao) you will have Rif Fort at your door step. Together with Fort Amsterdam on the other side of the bay it was build in the 1820’s to defend the city. Rif Fort has now been transformed into a pleasant recreation area where you will find high end shops, souvenir shops and lots of bars and restaurants. This is the Curacao mega pier were cruise ships can dock while in port. This is just one of the dock available. Read the full Curacao cruise port guide to view all the options. However, if only 1 ship is in port, you are most likely going to dock here at the Mega Cruise Terminal. Near the airport of Curacao is where you will find the Hato Caves. It is cave system where you will find the most unusual rock formations. Go on a guided tour to go from room to room and to experience what life in a cave must have been like back in the days. Blue Bay is one of the nicest beaches on the island. Enjoy lots of different facilities here. Hang on out the beach, go snorkelling or golfing. Find this resort at about 20 minute drive from the dock. The most unusual site which will catch your eye as soon as you dock in Curacao is the pontoon bridge. This is a floating pedestrian bridge from 1888 connection the two parts of the city centre. The bridge blocks the entree to one of the biggest natural harbours in the world. The bridge will swing open every now and then allowing ships to sail in. When the pontoon bridge opens make sure not to be on it or you’ll be stuck. If the bridge is open free ferries will go up and down to service the pedestrians. Each morning the Venezuelans gear up their small boats to make the journey over to Curacao where they dock in the historical centre to sell any kind of fruit and vegetables. Hundreds of species of fish can be found in the aquarium of Sea aquarium. Anything you can find in the waters around Curacao is what you will find here as well like crabs, sponges and corals. The big attractions however are the dolphins that are here. Join them for a show or go for a swim with your new buddies. On the island you will find wild flamingos. Find them at Sint Willibrordus on the salt flats. From the dock it is about 45 minute drive. The ostrich farm is one of the most famous in the area. At the visitors centre you will find a restaurants and cafes and this is also where the guided tours leave from. On the tour you are going to befriend a ostrich or two. Stand on the eggs, feed the ostrich and if you want: ride the ostrich. Find the Ostrich farm at about 30 minute drive from the cruise dock. This must be paradise on earth. This small uninhabited island close to Curaçao is known for its sandy beaches and amazing snorkelling. It takes some effort to get there and you have to be in port long enough, but if you are able to go: do it! When the Dutch West-Indian Compagnie took over the island a fort needed to be build to offer protection to the Dutch. At the entrance of the St. Anna baai, just across the water from the dock you can still see this Fort guarding the entrance to the capitol. Nowadays the parliaments hold house in this building. Feel free to stroll around explore the fort by foot. Nautical charts, ship models and navigation equipment tell the 500 years of maritime history of Curacao. 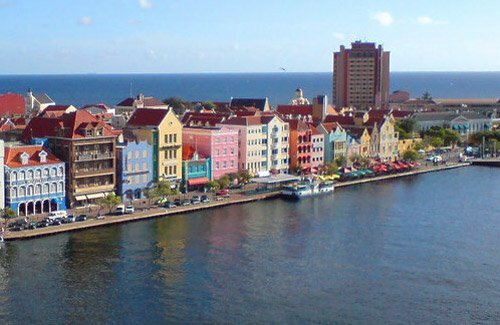 The UNESCO world heritage site of Willemstad is the old colonial boulevard. This must be the most recognisable sight of Curacao. A row of colourful, restored waterfront warehouses resemble the canal houses of Amsterdam. This is proof of the colonial era when the Dutch would rule this part of the world. On the north coast of Curacao you can find caves, natural bridges and Boca Pistol. It is a small inlet in the caves. The waves hit is about few seconds. When the waves clash into the tiny inlet it sounds like the shot of gun and the water can splash up to 20 meters / 60 feet into the air. This is the oldest still in use Jewish synagogue in the New World. It was build in the 1730’s by Pieter Roggenburg. The outside might not be very appealing, but wait until you see the inside. The Penha building is the most photographed building in Curacao. It was build in 1708 in Curaçao Baroque architecture with Dutch influences. It still stands proud on the “Handelskade”. Nowadays if it home to a large department store. Curacao has a dark history of slavery. Kura Hulanda is a hotel and museum near the city centre that will show you a chapter of the african slave trade and Curacao and the centre of slave trade for the ABC islands. The biggest mountain of the island is called Christoffel mountain. It is 375 meter high. In the park you will find several museums, plantation houses, 3 driving routes and 8 hiking routes. You can explore the park in many ways. Go for a drive to the rugged coastline to see the waves splashing into the rock, visit the museum that tell the story about slavery or hike all the way to the top of the mountain. On the island you will find many plantation houses. At the Chobolobo plantation house you will find the production of the local liquor of the island: Blue Curacao. It is being produced in the copper boiler from 1896. There is a small exhibition at the plantation house and you will also be able to taste it!